Compact footprint and low stowed height — easy to transport and maneuver. Three selectable steering modes: front-wheel, coordinated and crab steer. 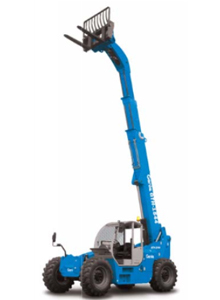 Standard auxiliary hydraulic system is easily tailored for a variety of attachments. Interchangeable, common components for maintenance efficiency.